Después de los ocho capítulos que componen la primera temporada, los adictos a esta serie estamos expectantes por la siguiente. 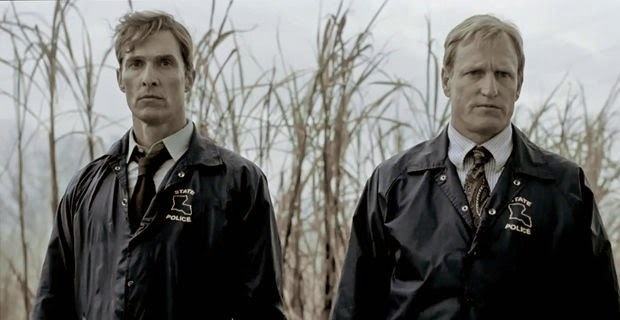 Para los que aún no han caído atrapados a las redes de True Detective, ¿os animo? Es una serie dramática de género policíaco, protagonizada en la primera temporada por los actores Matthew McConaughey y Woody Harrelson. Y digo primera temporada, porque la serie sigue un formato de antología, así que en cada temporada contará una historia diferente con un elenco de personajes distintos. Ha sido la apuesta fuerte de la cadena estadounidense HBO de esta temporada y ha cosechado muy buenas críticas. Se ha destacado por ser la serie de culto del momento, y muchos medios ya la clasifican como una de las series del año. La primera temporada se cuenta mediante varias líneas de tiempo, como la historia de la caza durante diecisiete años de un asesinato en serie por una pareja de detectives en la planicie costera del sur del estado de Luisiana. En la trama predominan las frases y los discursos filosóficos, es una de las características que nos recuerdan a grandes series como Breaking Bad. El creador de la ficción, Nic Pizzolatto, ha desvelado algunos detalles de la segunda temporada: tendrá tres protagonistas y estará ambientada en los lugares más desconocidos de California. Según el creador y guionista de la serie: "Intentaremos capturar la atmósfera psicológica de la primera temporada, los personajes son nuevos, pero ya estoy profundamente enamorado de todos. Tenemos la temporada entera ya pensada y yo tengo escritos un par de guiones, así que probablemente empecemos con el casting el próximo mes". 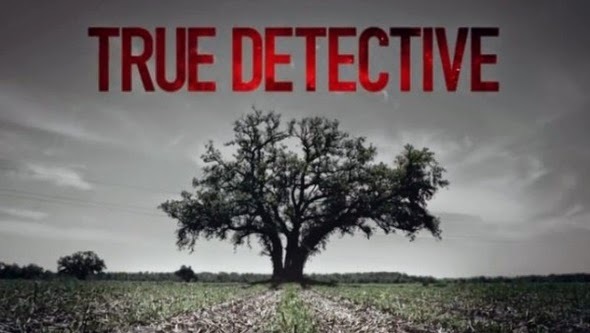 Destacar la magnífica banda sonora de True Detective: T.Bone Burnett se encarga de seleccionar la música para esta ficción. Los títulos de crédito con el tema Far From Any Road de Handsome Family, conjugándose con planos yuxtapuestos de la trama, presentados con una elegancia que vibra y estremece desde el primer segundo. y noté las manos temblorosas"
After the eight episodes of the first season, the fans of this series are looking forward for the next one. 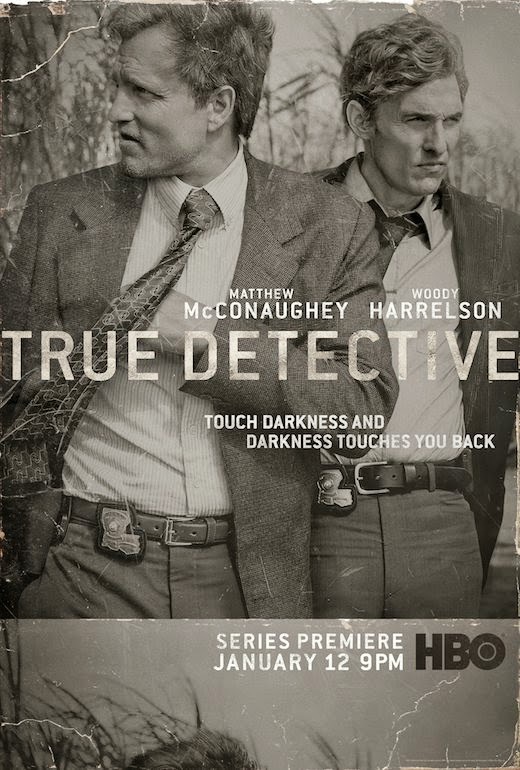 For those who have not got completely hooked on "True Detective" yet, do I encourage you? It is a dramatic series of detective stories, starring in the first season by Matthew McConaughey and Woody Harrelson. And I say first season because the series follows an anthology format, so each season will tell a different story with a different cast of characters. It was the greatest bet of the U.S. network HBO for this season and it has garnered good reviews. It has been highlighted to be the cult series of the moment, and many media have already classified it as one of the series of the year. The first season is developed through several timelines, like the story of the hunt for seventeen years of a serial murder by a couple of detectives in the coastal flatland of southern Louisiana. In the plot prevails philosophical phrases and speeches, which is one of the characteristics that remind us great shows like "Breaking Bad". The creator of the fiction, Nic Pizzolatto, has revealed some details of the second season: there will be three protagonists and it will be set in the most unknown places of California. According to the creator and writer of the series: "we will try to capture the psychological atmosphere of the first season, the characters are new, but I'm already deeply in love with all; we have already designed the entire season and I have written a couple of scripts, so we will probably start with the casting next month. " We have to emphasize the magnificent soundtrack of "True Detective": T. Bone Burnett is responsible for selecting the music for this fiction. The closing credits with the theme "Far From Any Road" by Handsome Family, mixed with juxtaposed scenes from the plot, presented with an elegance that vibrates and shudders from the first second. and felt the trembling hands”.